Ali Hassan, 27, is a co-founder of Crescent Crypto Asset Management, and previously worked as an analyst in private wealth at Goldman Sachs. He is featured as part of Business Insider’s Rising Stars of Wall Street. Hassan spoke with Business Insider about how to launch a career with entrepreneurship in mind. Would-be entrepreneurs who start on Wall Street should come into their first jobs with a plan, says Ali Hassan. 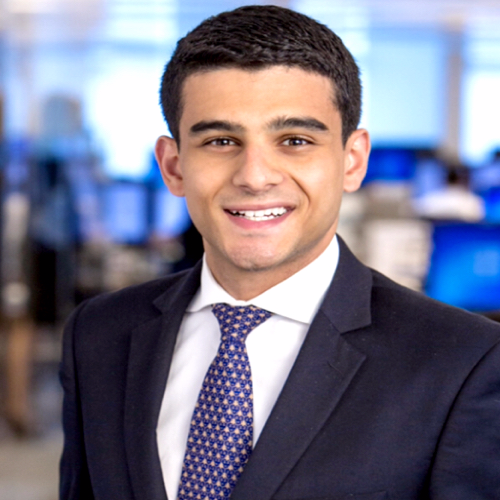 The 27-year-old, who was featured last week as one of Business Insider’s Rising Stars of Wall Street, landed his first job at Goldman Sachs after submitting nine applications. He joined the firm’s private-wealth management unit, where as a junior analyst he helped senior wealth advisers. He dabbled in trading bitcoin in his spare time beginning in 2013, as Goldman had rules around trading single stocks but not digital assets. It was from here that Hassan developed an interest in crypto that would later turn into a full-time job. After a stint at another financial firm, Hassan teamed up with former Goldman colleagues to launch Crescent Crypto Asset Management, one of the first funds to offer passive exposure to bitcoin for wealthy investors. Hassan said founding a company at such a young age came with distinct advantages: no golden handcuffs and no family ties holding back a would-be entrepreneur. „The longer you stay at an organization, the longer you work for someone, the harder it gets to let it all go and take the risk and strike out on your own,“ he said. For those eyeing a similar trajectory, Hassan recommends planning ahead. „Before you even get into your first job, before you really land that analyst role, have a plan two to three years from now – ‚I would love to run this, I would like to have a business that does this‘ – and work to that plan,“ Hassan said. That plan includes surrounding yourself with the right people, particularly if you need co-founders to execute a big idea. After 18 months running his own company, Hassan has no plans to ever return to working for someone else. For Wall Streeters just getting started, Hassan recommends asking for help early on to be efficient and helpful. At times, he took the opposite approach and wasted time trying to go at it alone. „You want to be as beneficial to your organization as possible and oftentimes asking for help can cut shortcuts out of your learning curve and in the add it actually adds to the overall value that you bring to your team,“ he said.